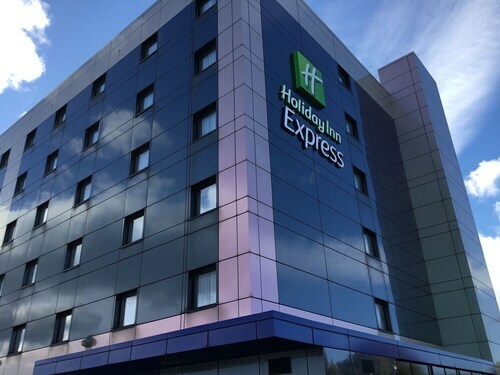 Expedia Aberdeen holiday packages will help you save money! Bundling your reservations will give you more cash to splurge for your amazing trip. Book your deal on Expedia and gain savings of up to $200*! It really is that easy! With us, you've got more than 400 partner airlines and 321 000 worldwide properties to select from across the globe, which means your dream holiday is only a few clicks away! Itinerary looking a little empty? Aberdeen holiday all organised but unsure what to do when you get there? Let us guide you. You'll find yourself surrounded by noteworthy things to do and see, like the King's College and the University of Aberdeen. 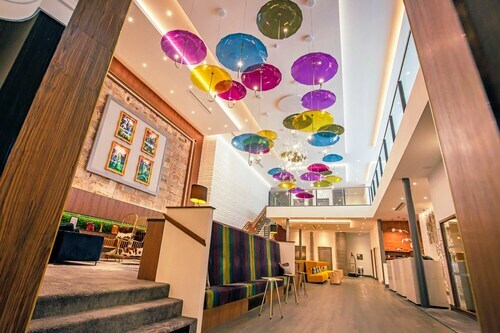 If you're eager to make the most of your stay, be sure to check out the Aberdeen Art Gallery and the Aberdeen Exhibition and Conference Centre. If you're eager to shave a few strokes off your game, then head over to Royal Aberdeen Golf Club. Grab some clubs, develop your swing and relax with the friendly locals at the 19th hole. Visitors in this destination have a great range of options. Sure, having a dance to tunes on your phone is nice, but nothing comes close to the excitement of seeing an incredible live performance! So why not catch a show at Aberdeen Music Hall? Still got time on your hands? Water transportation changed the world and remains an important part of the global economy. Check out Aberdeen Maritime Museum for an illuminating look at seafaring history. 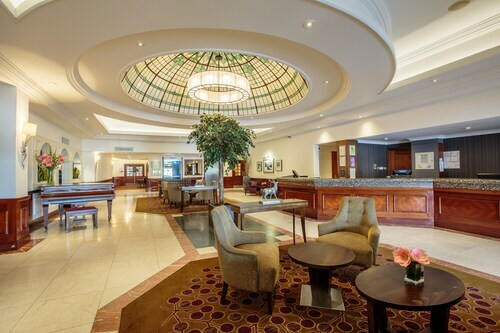 Make your way to Aberdeen with ease knowing that you have a place to stay. With 68 properties to pick from, booking a soft, comfy bed for your luxury getaway or cheap holiday will be a breeze! 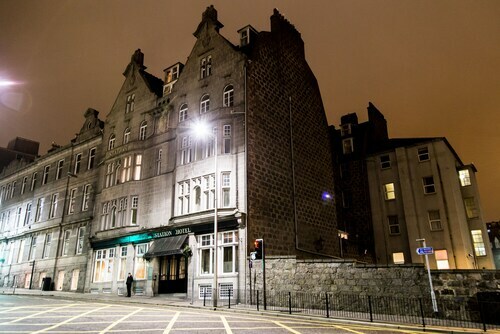 The Macdonald Norwood Hall Hotel (Garthdee Road) and the Rox Hotel (17-23 Market Street) great accommodations. Why not look into the services and amenities and then decide? If you're arriving by plane, you'll most likely be landing at Aberdeen Airport (ABZ). After you've retrieved your bags and wandered out of terminal, the main streets of Aberdeen will be just 5 miles (8 km) away. Trace the 200-year history of the Gordon Highlanders from the Napoleonic Wars to today and discover the stories of the soldiers through displays and film. A mile of boardwalks leads through rolling dunes, marram-grass ridges, sandy beaches and wetland areas at this expansive seaside parkland. Walk amid tropical rainforests or arid displays dotted with cacti at this beautiful garden set within a collection of large glasshouses in a pretty city park. Be awestruck by the ornate Gothic-revival architecture of the second-largest granite building in the world, a civic landmark that was the former home of a museum. Cast your eyes up in this magnificent medieval cathedral to see its stunning 16th-century heraldic ceiling and original friezes in the nave. A really good nights sleep with a comfortable bed. Very clean and modern I found it to be. Staff very friendly. Breakfast included in price and it was excellent. Has a lovely contemporary feel, beautifully decorated, super comfy big beds. Loved it. Lovely property. Location is good at the city center hence easy to move about. 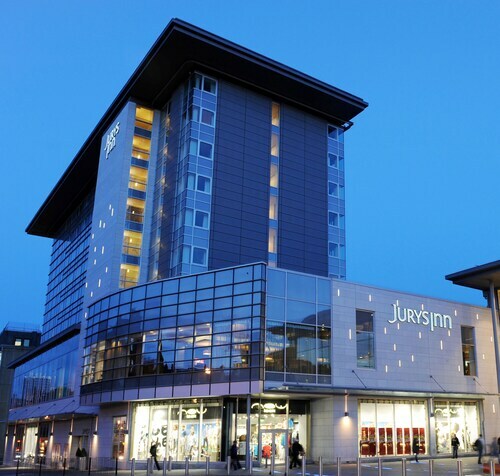 Looking for Flights, Hotels, Car Hire and Holiday Rentals in Aberdeen?